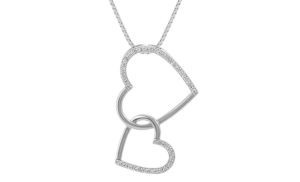 Spotlight on the Sweetheart Collection - Shane Co. Guests often visit Shane Co. in search of jewelry that is sentimental, with the intent of gifting something that has a lot of meaning. While all of our jewelry can have a unique meaning to whoever wears it, our Sweetheart Collection was specifically designed with romance in mind. Did you know the heart symbol has been used to represent love since the Middle Ages? 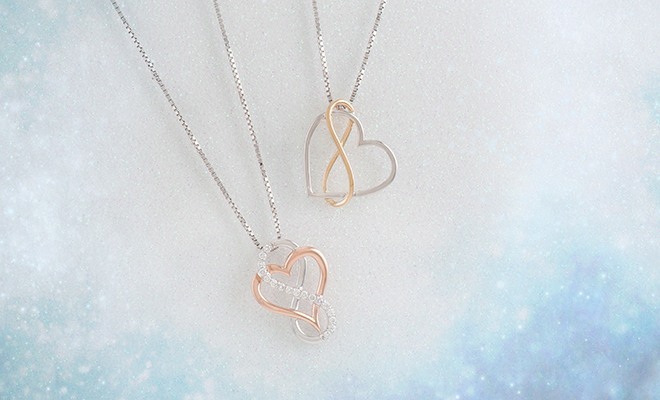 Each piece in our Sweetheart Collection incorporates the timeless symbol of love in a unique way. And with Valentine’s Day right around the corner, these beautiful designs are perfect for gifting to that special someone. Here are some of our new and exclusive designs you will not find at any other jewelry store. 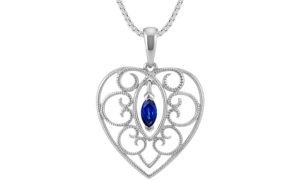 If the lady you’re shopping for loves color, this piece featuring a marquise traditional blue sapphire will make her swoon. 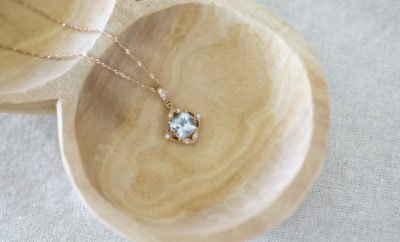 Show her how you’re forever connected with this sparkly pendant. 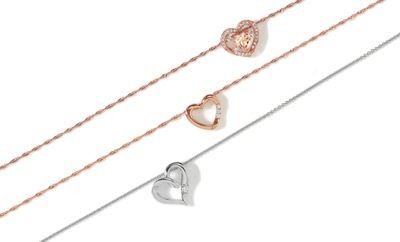 The two connected hearts with shimmering diamonds will brighten her day and her wardrobe. You two are different, but perfect together, just like the sterling silver and 14k yellow gold in this pretty piece. 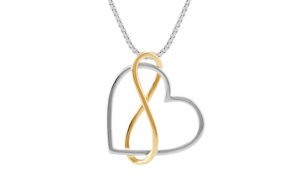 The infinity symbol and heart create a beautiful symbol of your everlasting love. 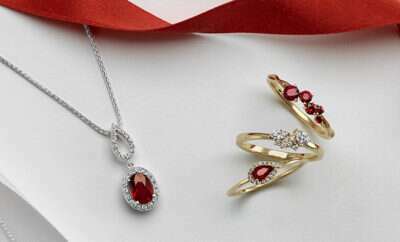 The color red has long been associated with love and passion, and it is said to stimulate excitement when seen. 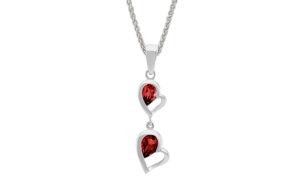 Two pear-shaped garnet gemstones make this double-heart pendant the romantic gesture you’re searching for. To browse more pieces in the collection, stop by your local Shane Co. or visit ShaneCo.com.